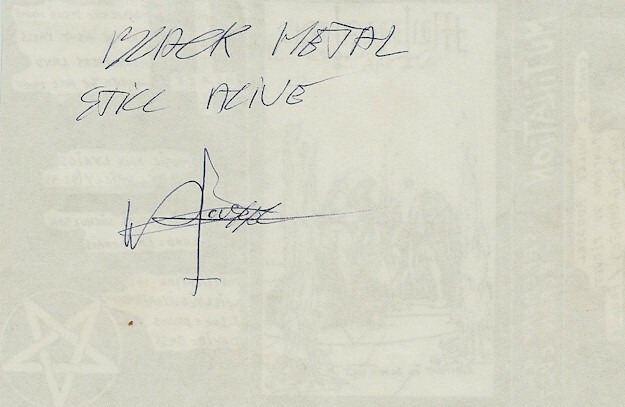 Mütiilation was formed in 1991 by Meyhna'ch, Dark Wizzard of Silence and a bassist by the name of David. They recorded some amounts of demos as a trio until 1994, when David left. This was due to Mütiilation joining The Black Legions and his choice to not follow their views. 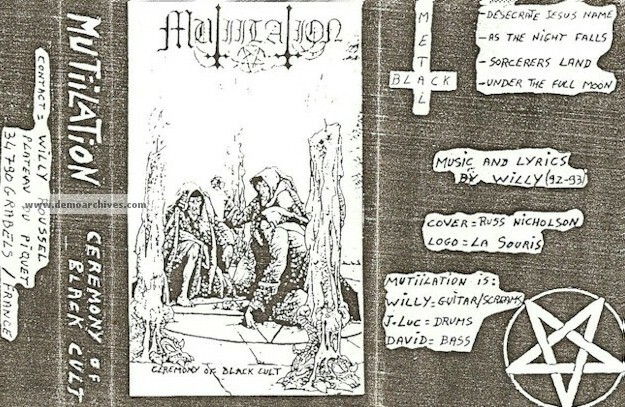 At this time Mütiilation released an EP to honor the circle titled Hail Satanas We Are The Black Legions. Shortly after Dark Wizzard of Silence was replaced by Krissagrazabeth, who participated in the recordings up until Vampires of Black Imperial Blood. Once again it was due to disagreeing views. 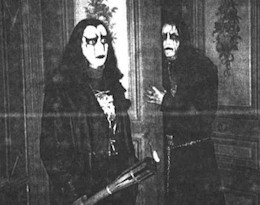 At his departure, Mørdrëd joined in to be the first Mütiilation bassist to be part of The Black Legions. This line-up would be featured in The Black Plague - First Chapter (And Maybe Last One). Xerox covers. Recorded onto regular non studio tapes. Xerox covers. 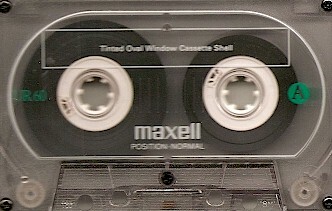 Recorded onto regular non studio tapes. One of two covers.